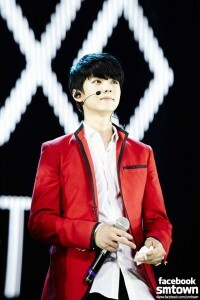 Last week it was revealed that Exo’s Luhan had requested that his contract with SM Entertainment be terminated. While it was common knowledge amongst fans that Luhan had severe health issues to the point of missing concerts, his lawsuit was still a shock to many. Represented by the law firm Hankyul, the same law firm that represented Kris and Hangeng, Luhan filed for contract nullification on the morning of October 10th. According to Sina, the website that first reported both Kris and Luhan’s lawsuits, Luhan is filing because of discrimination against the Chinese members and because of the health problems he incurred while having to work to the point of over-exhaustion. With this statement, SM implied that Luhan’s leaving was an act of treachery as they had been trying to accommodate him while he had secretly been planning to leave and capitalize on the popularity SM worked so hard to help him achieve. Goodbye, hyung. If we have the chance, let’s share a stage together again. As a brother, I support your every decision, good luck. These messages are a stark contrast to what occurred after Kris left, suggesting that Luhan’s departure was not a surprise. It is interesting, however, the way fans have reacted. Whereas Kris was vilified, reactions to Luhan have been supportive. There are a few possible explanations for this with the most plausible being that Luhan’s health degradation was clearly visible while Kris’s health claims were not. Even if the health issues Kris said he had were untrue, both idols cited discrimination as part of their lawsuits. This indicates that something was going on behind closed doors at SM and that perhaps Kris was denounced unfairly. To reassure fans of his well-being, Luhan posted on social media later that day. On Weibo he wrote “I am home” and on Instagram, he uploaded a picture (shown left) with a message to his fans. Since then, the rumor mill has been working overtime. Luhan was reported to have been considering a role in a Chinese film, though the production company has vehemently denied so. Luhan also reportedly earned 530 million won since last year (~$498,000 USD) though, of course, no proof has surfaced to support such claims. While it seems as if SM can’t catch a break, it is worrying that this is the second member to leave Exo, specifically Exo-M. Although SM is known for working their idols hard, to say the least, Exo probably did not expect the amount of privacy invasion incurred by their sasaeng fans. The situation has been so bad that several members have posted on SNS about their frustrations with Luhan even leaving a warning message on Weibo in the past. Exhausting schedules, constant privacy invasion, and stalking are enough to make any idol want to quit, but so far none of the other members have been inclined to leave. However, if the accusations against SM of discrimination toward the Chinese members are true (as many are inclined to believe), then it adds another layer of mistreatment against Luhan. When all these factors — along with Luhan’s deteriorating health — are combined, it is no wonder that Luhan filed for contract nullification. Of course, this begs the question, what will SM do with Exo-M? The uneven member distribution offers several possible solutions. SM can leave things the way they are, transplant a member from Exo-K to Exo-M, or just combine both groups once and for all. While Exo’s fate might not be confirmed for a while, one thing is for sure — Luhan is finally getting some much needed downtime. What are you thoughts on Luhan’s lawsuit?